Find a vacation home to rent in Forsand Municipality from our list of vacation rental properties. Campaya has over 5 vacation homes available in Forsand Municipality, which give you the possibility to locate a unique accommodation in Forsand Municipality which completes your check-list in search for the perfect self catering vacation apartments in Forsand Municipality or vacation villas in Forsand Municipality. Nice holiday apartment in the basement of a house located on a small hill by Høgsfjorden. The apartment has a lovely terrace and outdoor area. 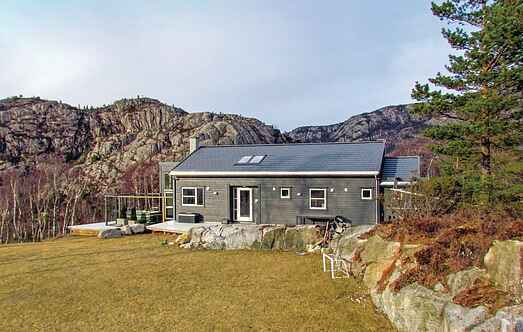 Beautiful and well-equipped holiday home located on a hill only 500 metres away from the fjord. From the holiday home you can enjoy panoramic view over the fjord and the mountains. Welcome to this neat and well equipped holiday home situated just 150 m from Høgsfjord with excellent fishing and swimming. 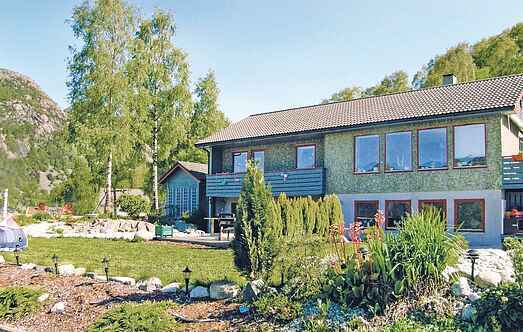 Welcome to this lovely holiday home with a great location and beautiful view of the Lysefjord. This house is perfect if you want to experience the breathtaking nature in the area. Welcome to this lovely cabin in a peaceful location close to the Høgsfjord. From the cabin you have a beautiful view of the fjord and mountains.